Create your own one-of-a-kind Mala! A Mala is a traditional garland of 108 beads. Every bead represents a truth, and meditating on them with an affirmation, or mantra, is known to bring peace of mind. 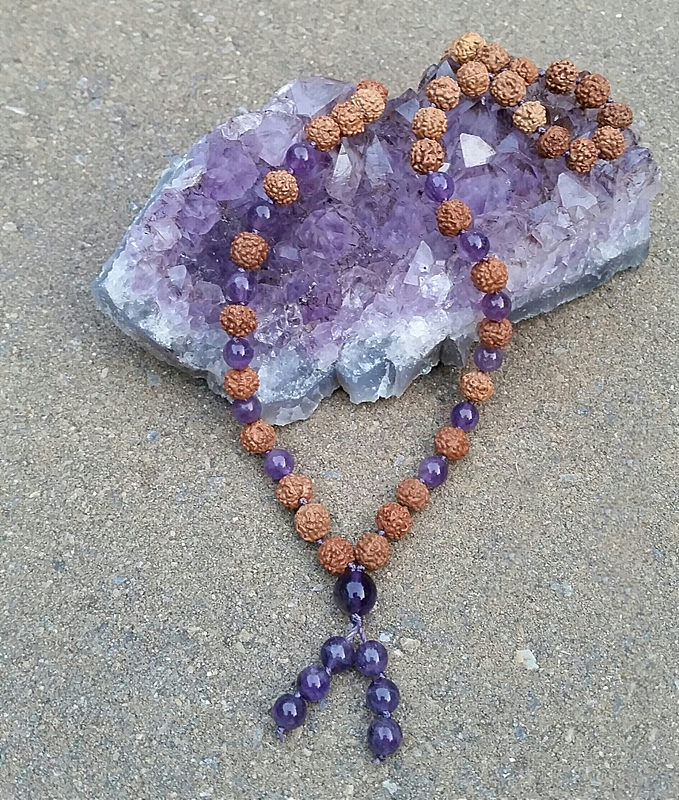 During this creation ceremony, you will learn the structure and use of a 108-bead Mala. You will be led through a Japa meditation of ancient roots creating the space to set the intention for your Mala. Using a combination of rudraksha and gemstone beads, you will design and create your Mala, an empowering tool for you to manifest the life you envision! Choice of gemstone and discount with advanced registration! Note: All materials are included. Workshop will be limited to 25 people. Jacquelyn Rose, RYT200, is a passionate yogi and artist that loves creating and inspiring others to try new things as well. She grew up in the scenic Hudson Valley region of NY on an apple farm where her love of nature began and currently resides in Bergen County, NJ. When not involved in a creative endeavor or DIY project, she can be found working at her town library, at a coffee shop pondering the miracles of life or by a lake with a book. After walking into a hot yoga class in 2015, Jacquelyn Rose knew right then and there that this would be a life-long practice. She knew this was not only a personal journey, but a practice that she was inspired to share with others. Jacquelyn Rose received her 277-hour Yoga Teacher and Reiki Level 1 & 2 Certifications from Bliss Yoga Academy and Wellness Studio in Northvale, NJ.